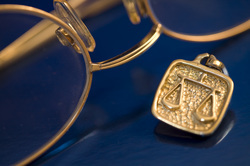 Burke & Associates offers tax litigation to both individuals and businesses. The staff members at Burke & Associates are highly knowledgeable and experienced in the resolution of both federal and state tax matters. Attorneys are regularly litigating matters before the United States Tax Court, First Circuit Court of Appeals, the United States District Court and the Appellate Tax Board. With superb knowledge of Internal Revenue Service practices and procedures, Burke & Associates strives to resolve all matters procedurally, limiting the court costs whenever possible. However, if procedural remedies fail, our staff is ready to litigate matters in the best interest of our clients.